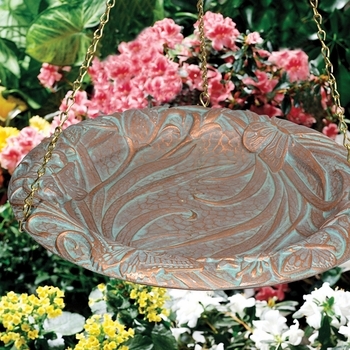 Decorative Metal Bird Baths, Houses & Feeders - Create your own backyard bird habitat. 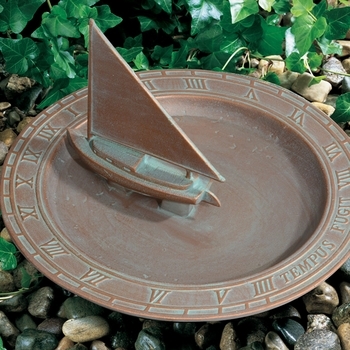 Gardeners know that a landscape doesn't truly come to life until the birds, butterflies and lady bugs visit. 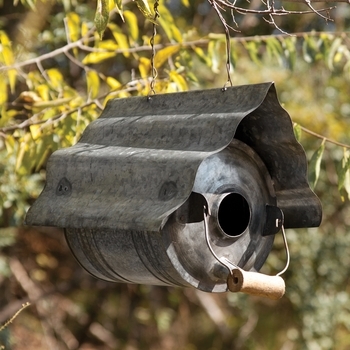 Need help creating your own backyard bird habitat? 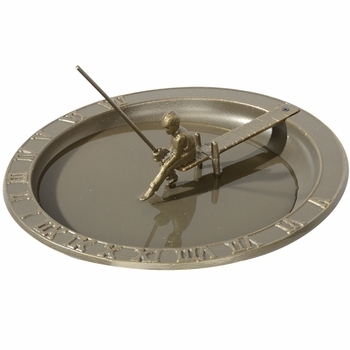 All you need to do is provide the basic elements of food, water, and shelter. 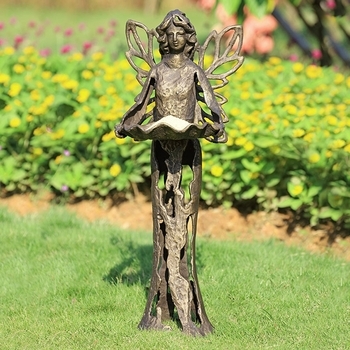 Welcome winged friends to your garden with one of our metal bird feeders filled with seed, suet or nectar - add a decorative bird house for shelter from predators - and provide a metal bird bath for the water necessary for drinking and bathing as well as offer an aquatic habitat for dragonflies, frogs and other aquatic life. 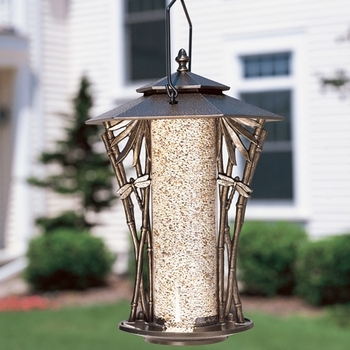 Decorative Bird Houses: Comfy, cozy and all together handsome homes for our feathered friends. 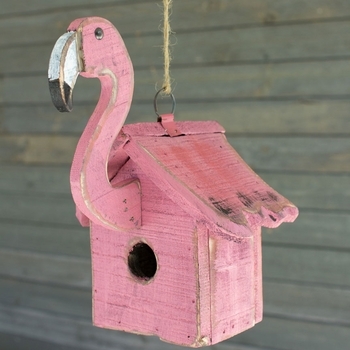 Decorative birdhouses share our landscaped yards and gardens with the sing song creatures who thrive in the environment - by invitation, or not. 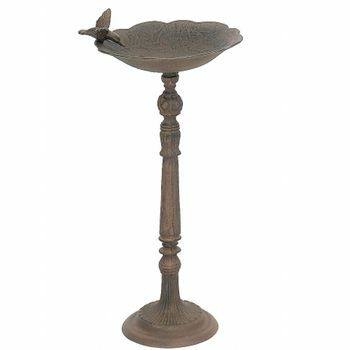 With styles that suit formal settings to those that offer up a more relaxed environment, our decorative bird houses blend beautifully with their surroundings. 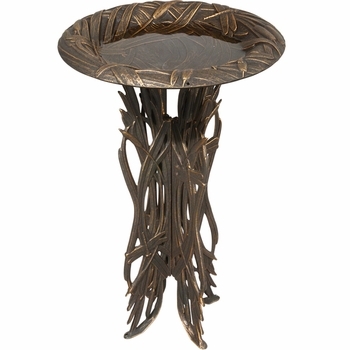 From premier, old world stacked level bird sanctuaries to homes designed for a particular species, the wood and metal offerings provide a panorama of real estate for avian dwellers. 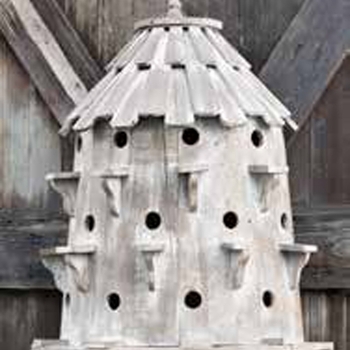 Old watering cans, galvanized metal jugs and repurposed wood are transformed into sweet domiciles by adding a few openings and perches. 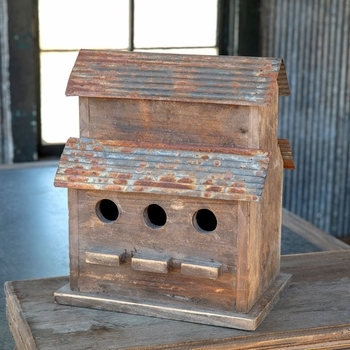 Decorative bird houses not only provide shelter from predators, they also add eye level interest to your neighborhood terrain! 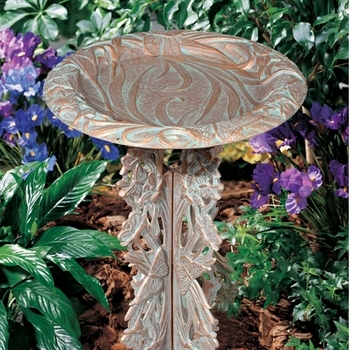 Metal Bird Baths: One of the pleasures of outdoor living is sharing the bountiful space with other animate creatures. 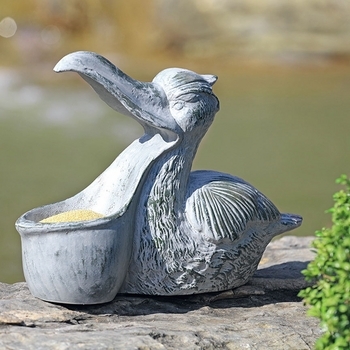 Family pets notwithstanding, your primary visitors may be feathered. 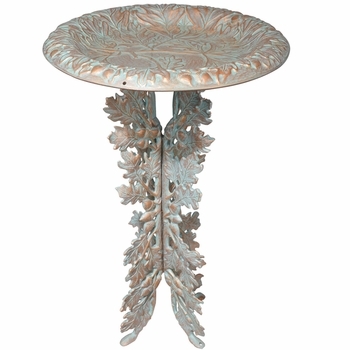 They need little but so do enjoy a place to freshen up. 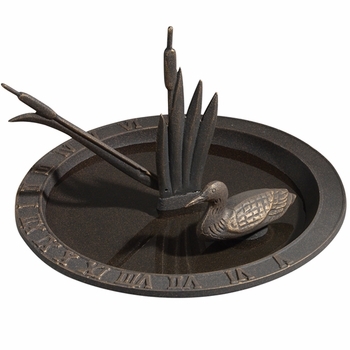 Start with our collection of metal bird baths as the basis of a long term relationship. 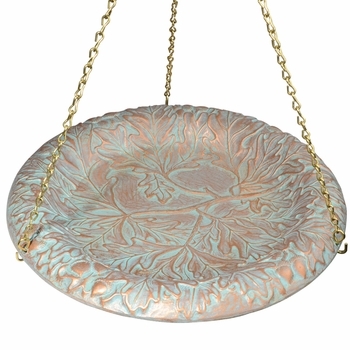 Selections include bird baths that sit atop a pedestal, may be staked in the ground, swing softly from a tree branch or hook and one that plays well with other garden accents. 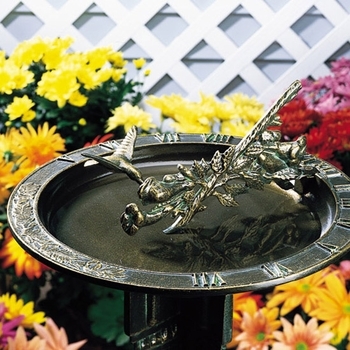 Metal bird baths ensure that avian dwellers and fly-bys have their own place to sip and soak without interfering with your pool, pond or dog bowl. 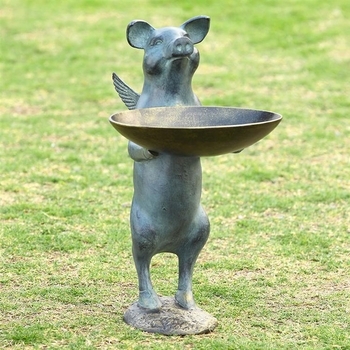 Well placed metal bird baths offer a rich and rewarding view of the "wildlife" from the perfect distance and they are styled to optimize every type of outdoor decor. 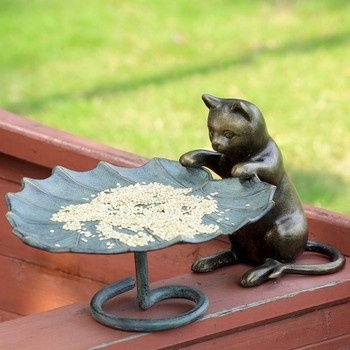 Metal Bird Feeders: The most surefire method of attracting birds to your garden is to feed them. And you may as well wow them while doing it! 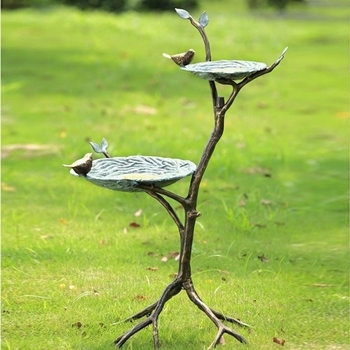 Hanging or free-standing, our metal bird feeders make the pursuit of seeds a playful passion. 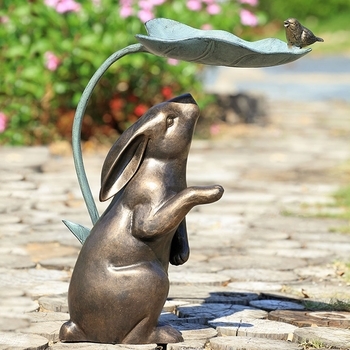 How about a bunny holding a metal leaf? Or a frog butler? 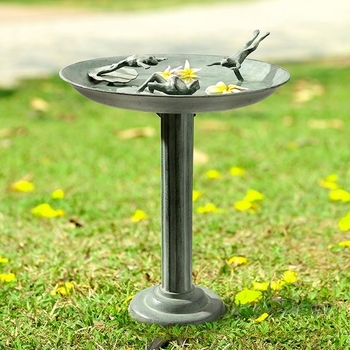 We've got moon fairies, angels, lovebirds and dragonflies. 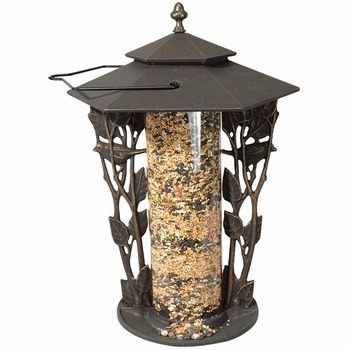 Each metal bird feeder is unique and offers either a shallow open bowl or the common tube and surround. 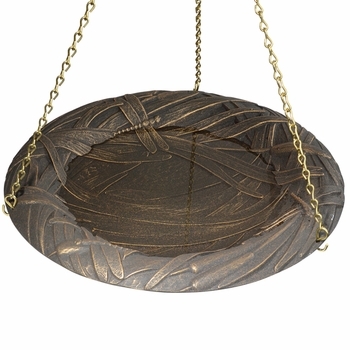 There is even a precious cast iron wall mount feeder ideal for a condo balcony. 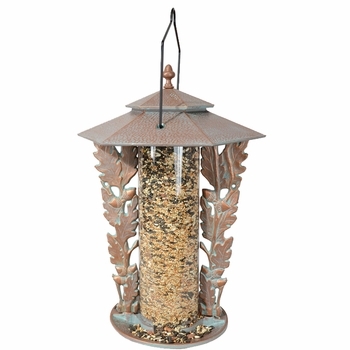 Metal bird feeders satisfy most small songbirds with maintenance refills, and should be kept a sufficient distance from curious cats and wily squirrels. 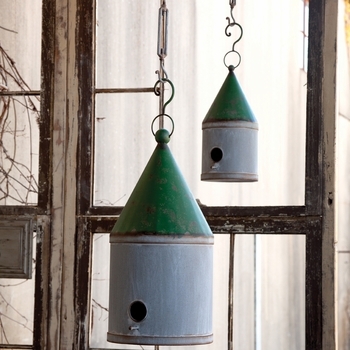 Find and provide some backyard happiness with a metal bird feeder from Iron Accents.